Located in NE Ocean county, Bricktown or Brick is an established neighborhood featuring an eclectic assortment of homes ranging from 1 story ranch style to 3 story beachfront mansions. Famously known for the lush Brick reservoir, where families can enjoy miles of walking trails, fishing, and secern landscapes for picnics. Known as the shopping hub of Ocean County, there isn’t much you won’t find in Brick. From Big Box retailers like Best Buy, Target, Walmart to the charm of little shops, Brick brings all the best. Want some excitement? Visit the Jersey Shore pirate show, enjoyable for all ages. Want to relax? Visit any of the local beaches and soak up that sun! Ready to hit the links? Visit Forge Pond Golf course or Golfatron and work on your swing in comfort. For additional information on any of Brick’s homes for sale, click the blue box in the upper right-hand corner, select a home to view, and from the Detail page, click Contact An Agent or Schedule a Showing. 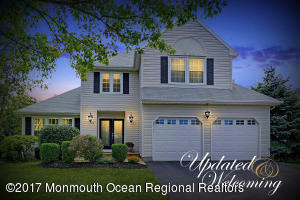 As NJ’s premier real estate team we can give you detailed information and schedule a showing even if the home is not our listing.